How can I get out of a storm shelter if there is debris on the lid? How can a person get out of the shelter if there is debris on the lid? Is there more than one way to escape their shelter if debris is on lid? 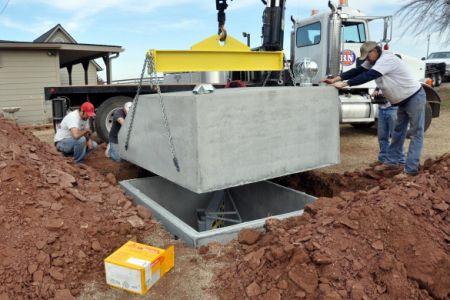 Ground Zero provides a hand winch for every below ground garage unit shelter. The back lid also opens from the inside by the removal of two 9/16” nuts. We will also include the GPS coordinates so that emergency personnel will be able to locate you when severe storms hit. 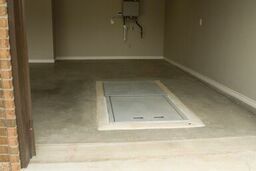 Our above ground units have doors that open to the inside so there are no worries of the debris blocking the door from opening. 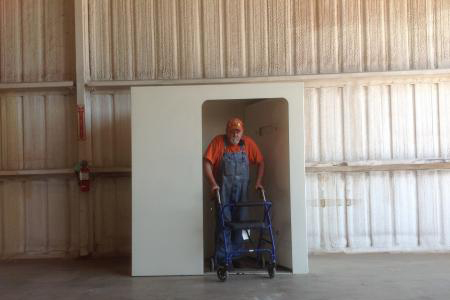 Please feel free to contact us for more information or order your tornado shelter today!